Babysitting is definitely tiring but fun except when he becomes a monster baby with his unceasing cries. 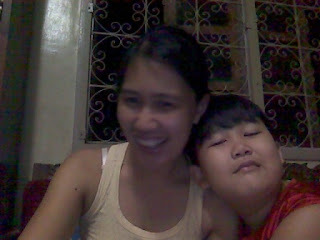 When my sister Tammy is busy on something or tired with my nephew, I normally babysit the little boy. He is just heavy to be carried around and gets nasty when the weather is damp and hot. Tammy got these pictures of us having fun. hahahhaha! The Kids Are Tearing the House Down! Since we are back to our old home for a vacation, the house is definitely filled with kids between 9 months old and 6 years old. There are five (5) kids and goodness, they drive us crazy with their noise, wails, and fighting. No wonder, parents go nuts that they do ill stuffs on their kids when they are difficult to handle. Although, I definitely disagree with their extreme physical punishment. My migraine usually sets in when the noise is too hard to endure. So, when everyone else is on their top energy, I hide behind closed doors! hahhahahaha! I love AMIClubwear because the site has a wide variety of fashion stuffs like dresses, shoes and lingerie. It actually holds the latest trends that I can proudly hit any event on AMIClubwear outfit. Best of all, it offers big discounts on all their items and free shipping for purchases made within USA. I can only be happier when one of my favorite sites is in Youtube. I can definitely see the store and its collections. I simply drool on their stylish collections. Youtube holds nice and lovely video clips and I happened to get one interesting and helpful video tutorial of AMIClubwear on how to put on a makeup. My knowledge on putting a make-up is definitely scarce, if not hopeless. The video makes this make-up ordeal so easy. I just adore AMI since it provides not only great stuffs but also it presents beauty practical tips for everyone. What is more exciting is that AMIClubwear can give you $300 Gift Certificate if you subscribe to their Youtube site. Simply check these easy-to-follow official contest rules. The more entries you send, the better chances you have of winning. The contest runs from May 28 to June 24, 2009. So, attention all USA residents who are 18 years old or above, join now and have fun with AMI! In one of my old posts, I mentioned that we left our old home in Zamboanga City and simply relocated ourselves in Gensan City. It is quite strange to be back to this old place where my happiest and saddest moments lingered here. I guess, I never really belong to this place. 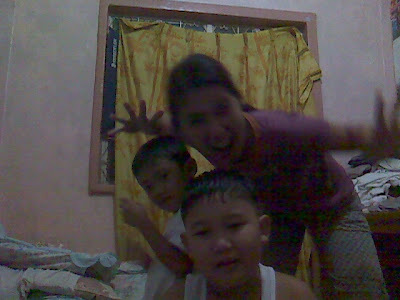 My house in Gensan is less extravagant, as a matter of fact, it's simply a house of very simple people. But, I prefer Gensan more. I am just happier that my parents and siblings are with me, together with my school buddies. What a wishful time to go back to memory lane. tsk tsk tsk. We want our store to be known that we put our efforts to it. We personally work on the marketing and sales and choose stocks we personally love to wear. But, we have only a limited store space that we maximize its area well. For one, I need a table top display where I can highlight the fashion accessories, books and some perfume. I need a chic, affordable and portable top display that I can just carry whenever the store goes on a trade exhibit. This coming July, we will soon join in the mall trade show exhibits and we will be needing flexible display racks, tables and some catchy table covers. There some table covers that are just disposable but pretty enough to attract some customers. I personally believe that if I want my products to be purchased, I have to first and foremost, make sure that they are displayed well and appropriately in a conspicuous place that they may get positive impression among potential buyers. What seems to be a road happy trip becomes a total frustration since our family van chose to be down and dead. We can't blame it since we simply abandoned the vehicle for seven months. Now, we have to leave by boat if we want to be on time for Monday's work. waaaaaaaaaaaaah! My father and husband will just to bring the car themselves. We only pray that the van won't die on them while they will be on a 2-day road travel. I simply dread hospitals but there are indeed occasions when I can't simply simply avoid these places. But, what irritates me more is the attitude of some medical staff towards their patients. I normally find some medical attendants as snob and insensitive. But, I have to understand that medical attendants simply do have a different working environment that makes them irritable and grumpy at times. Perhaps, Scrubs , an online magazine for nurses, can help them. Scrubs is not a typical clinical nursing site. It is designed and created with style, wits and charm. I am not a nurse or a medical - oriented person, but, when I read this magazine, I was also amazed by the site's distinct personality. It covers not only health and career concerns but also fashion and beauty tips. Grumpy and stressed nurses will highly benefit from this site. I quite love the MD / RN section where a medical doctor and a nurse collaboratively give tips on how to secure and handle patient's information. I can't imagine if my own medical records are simply for public review like the case of celebrity Farrah Fawcett whose records were exposed by a hospital administrator for big cash. That felon simply was axed from work and from his medical license. The site is a helpful avenue for all nurses and other interested readers. I definitely learned my rights as a patient and knew what to expect from the hospital and its medical staff. My family and I are in Zamboanga City right now. We wish to bring our family van to Gensan City by traveling on road. However, since the van has seven-months of full rest, it is now experiencing a couple of car problems including brakes, battery and aircon. waaaaaaaaaaah! We are supposed to leave today, but, obviously, it is still not done. We can only pray that by tomorrow, we will be off to the road and head to Gensan through Pagadian, Iligan, Cagayan, Bukidnon and Davao. Quite a road travel, huh?! We wish to meet other bloggers from these places. We don't know anyone in these cities actually. hehheheheh! Wish us a happy and safe trip on our way home! I love my hair black and straight but I sometimes, style it with hair color among other things. How do you like your hair? We work for a living to support the family and to address our personal needs. We normally select a safe and well-compensated job. However, if this very job brings us fatal health problems, then, we face a tremendous burden. Companies do have a social and legal obligation to keep their employees safe. But, if they place their employees in a detrimental condition, then, they rob the very rights of their workers. This is the harsh reality of workers who died of mesothelioma. This is a form of cancer caused by asbestos exposure. This is very fatal since workers who are exposed to this substance experience latent symptoms. They only notice their health problem when their symptoms have aggravated already. Consequently, they have a year or less to survive. Other patients who are diagnosed in the early stages of the disease have greater chance of survival because of medical treatment. Asbestos is a name given to a group of fibrous materials. Asbestos has very unique physical qualities, it was termed the "miracle mineral" because it could add strength to products and resist fire. For this reason the use of asbestos in commercial products became very common. Asbestos was frequently found in insulation and fireproofing, car brakes, cements and joint compounds, floor tile, and pipe coverings. Asbestos' fiber is 50 to 200 times thinner than the human hair. Consequently, this fiber can stay afloat for a longer period of time and can be breathed into the lungs. This may cause serious medical conditions like asbestosis, mesothelioma and lung cancer. Normally, asbestos affects the industry of mining, construction, military, manufacturing, chemical processing, demolition, automotive and railroad. So, if you, your loved ones or friends have been exposed to asbestos, call a Mesothelioma Lawyer. Protect your loved ones from this unwanted health risk. You work to live, not to die. So, call now, before it is too late! 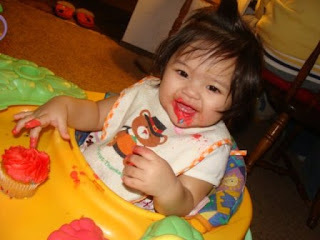 I just can't help but smile on this cute picture of our niece on her first birthday. She is the youngest member of the family and simply a big source of warmth and joy especially for the oldies.hahahahha! These are my best friends since we were in grade school. I will be seeing them in 2 days time.We are all married now, and are godparents to each other's kids. We simply support each other's joy and ordeal and accept our individual insanity. hahahhaha! Friends are abundant but only very few are true. Do You Honor Memorial Day? In the Philippines, we do have "Araw ng Kagitingan" or "Day of Bravery" in honor of our dead and living veterans. I wonder if in other countries, this is also celebrated and honored. My oral brace has long been overdue for adjustment. So, tomorrow we will be leaving for Zamboangis a and have that appointment. However, we can only stay for a day since the family is quite busy with the furnitures. I shall be absent from work but not from blogging.hahahhaha! I just have to finish all the things before departure. I am a mommy - blogger for a year now, and I simply blog about my kid and my family. It is quite difficult to be a parent that I do seek advices from other experienced parents. I want to raise my kid to become healthy, discipline, well-rounded and intelligent. Consequently, I do check ways and means how I can further enhance his skills and make him explore his environment. So, I am only pretty excited that there is a community for parents through ParentsConnect. They hold several activities and resources for the family like camps, shows, daycare, parties and instructional materials. My family normally visits Chicago and there are simply great activities, stores and shops, and tour stops that they can check. My nephew will surely love these. But, the site has launched a Widget Contest and USA residents above 18 years old can join this $1000 contest. Purchases are not required to participate. Simply fill in your information in their contest widget and add their widget on your blog or social network account. The winner will be drawn randomly from the valid entries on November 13, 2009. The winner shall be informed through an email and must respond within ten (10) days. The site and the contest widget shall be verified too. So, if you do have an account in Blogger, Facebook, MyYearbook, or Wordpress, join now and win the grand prize! My sister Tammy and I had been dying to have a leg peeling. Hahahhah! We don't really have great legs; blame that to boy-type games we played when we were younger. LOL! So, we simply went to the clinic and I had my facial spa and leg peeling. Hahhahahah! However, I was told I have to put on some sun block, whitening soap and lotion. waaaaaaaaaaah! Getting beautiful really has its price. Tsk! tsk! Tsk! 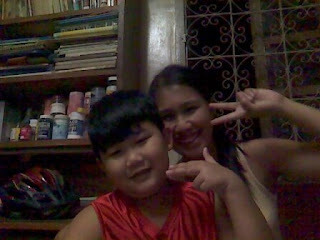 But, I simply enjoyed the time I had for myself and with my sister. These legs should bring result, so, I can wear my short dresses and skirts. Kinda flirty, huh?! LOL! Working in a store and all its papers and documents can be a hard toil to anyone especially, if one has no proper and formal training in management and accounting. This is indeed my problem; papers and reports. We take turns in recording the daily sales but I personally prepare the monthly reports of sales, expenses and inventory. Sometimes, I can get lost with all the receipts and transactions that I put them off until I am ready again to hurdle the paper works. But, bigger companies surely face a more tiring and draining data management. Without computer technology and some effective and efficient business systems, their business operations can be consumed by paper requirements, government policies and auditing control. Sometimes, companies face legal problems that could have been avoided if there are only efficient and consistent procedures. In Matter Management, companies may adopt a legal automation to achieve accountability and business objectives at the same time. It is quite difficult to track clients and their obligations to the company. It for this inconvenience that E-billing is introduced. With e - billing, companies provide their corporate clients with every detailed expense, query, comment and response at very prompt time. Clients can check the accounts with user - interface and online support. This in indeed what every client and company employee wants. And if there is any request for litigation evidence from all the transaction repositories, there is simply an effective and reliable Litigation Hold strategy that protects the company. Technology, people and process can indeed now be successfully integrated. Classes will start again this June 8, I have to have my kid and myself enrolled again. Tsk! tsk! tsk! This pretty means I shall be working dead again this semester with all the busy days and weekends ahead. I only wish I will have ample time for Yuri. I just have to have our enrollment done before the vacation. I just love to watch skies like this, soothing and hopeful. We will soon be joining my hubby in his vacation but that means pooling all resources for the trip. I might as well be using the store's meager income or be needing instead Small Business Loans. During the recent field trip of my kid and nephew, we were brought to a Durian Farm. We love durian that even my kid enjoys this creamy fruit. This fruit may weigh at least a kilo and if ripe, it will simply fall from its branch. You may be tempted to just wait it under its tree, hmnn. LOL! I have been hearing a couple of news from a national broadcast of fire and its losses. It is always hotter here in the Philippines especially at the start of March until May that fire is frequently warned among families and establishments. But, what is more frustrating is the fire that is caused by faulty electrical wiring. I had seen and heard a couple of deaths simply because they were trapped in a burning place. That is quite tormenting and unfair way to die. Accidents caused by unprofessional services are simply not acceptable. For this reason, most government units, establishments and families are vigilant of correct electric architecture and competent electricians like the Phoenix Electrician who equally values prompt and effective services. It is highly important that the electrician is state - licensed and has prior trainings and working experience on electrical services. Some electricians are charged by the number of outlets placed but may be overdone. Thus, make sure that there is a concrete electrical plan to be followed. You can contract an electrician but make sure that his services are truly safe and easy to maintain. Cheaper services, sometimes, are not at all practical since they may require constant repairs or maintenance. Worst, they may simply put your family and properties at risks. It's the Last Day of Summer Class for Us! Officially the summer classes are over today when we issued our final exams for our students. I shall miss the daily schedule with them but I am happier that I can spend more time with my kid and business among other things. We may be leaving for Zamboanga next week just for a 3-day vacation from everything. 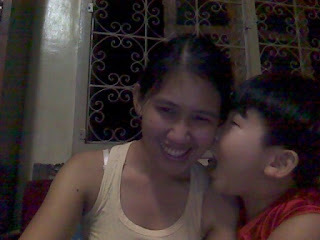 My kid is simply excited that he keeps on counting the remaining days left before our departure. At last, I can breath more. hahahahha! Since we started our mall store exhibit, we missed also the fun gatherings of SOCCSKSARGEN BLOGGERS getaway. They asked us to join the Plurk site, we did but we just don't have time to hang around Plurk. I kinda miss them since they have become our close buddies too. My sister, Tammy and my partner normally join the gathering. But, even my sister is quite busy with her frequent travels. I hope we can join the group the next time there will be a Plurk fiesta or a bloggers' gathering. My sister is working in Makati and simply rents a place but with its high rent and unsatisfactory services, she decided to scout for a new place and eventually build her very own house. She complained that her old place gets flooded whenever there is a rain and the plumbing cranks whenever she uses the water. I told her that if she really wants to have her own place, she might as well check the quality of this house otherwise she may be spending more than what is required. A house is as good as its beauty and its structure. Beauty may deteriorate over time but quality house equipment and materials must withstand through the years. That is why in building houses and their fixtures, only competent workers should be hired to eliminate any unwanted incidents in the future. In California, there are Long Beach Plumbing contractors who are well - experienced on remodels and new construction, residential and commercial plumbing, copper and gas installations and repairs of faucets, toilets and disposals. House owners can remedy repairs but, these repairs can be temporary. Thus, a professional may be a better and practical option. In finding Long Beach plumbers, you may seek referrals from friends and family who had prior satisfactory experience. 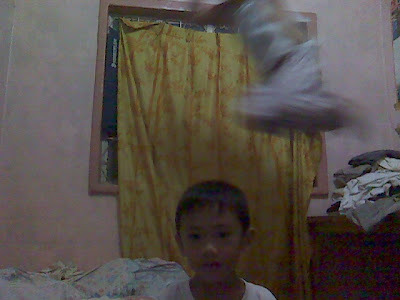 My kid jumping from a table into our bed while asking his cousin to take the camera shot. Just a funny and silly time with them. I am an IT and management education professor for several years. Consequently, I teach my students the value of information systems in performing company's transaction. It cannot be denied that technology has improved the productivity of employees and even the decision - making capability of managers. When I started recording the daily store transaction into a paper ledger, I really have hard time searching and reviewing them. I then decided to make a General Ledger System using Java environment and MySQL for my database. However, I am only at the tip of I must still do for our store. Companies and their managers must therefore, consider the importance of Database Development that their data can be securely gathered, organized, evaluated and retrieved at any time. This will efficiently improve the services of their employees and will ensure faster and effective turn - around time to their customers and other stakeholders. are getting more attention as important documents are kept efficiently and effectively through customized systems that can be modified to meet the company's unique needs. These can be further upgraded too for total maximization of the systems. Allergy runs in my family. But, I really wonder why my allergy worsens when I am all older. It has been an every morning battle with my dripping nose and constant sneezing. I pretty guess, the saw dust from our furniture shop contributes to this. I can't even stand the cold weather as I get rashes. waaaaaaaaaaaaah! Allergy is not really cool. But, I know the medicines can only relieve the symptoms but not really the cause. So, this means, I can only endure this. huhuhu! In my previous work, one of my co - workers lost her credit card. She placed her complaint before the credit card company as soon as she knew its loss. Surprisingly, she saw the unwanted purchases and cash withdrawals from her stolen credit card, amounting to around $1000.00. She could only cry and pay for these unnecessary expenses. Before the popularity of internet, identity theft was only a local problem. Identity theft occurs if someone uses your identity for malicious purpose, usually, for financial advantage. However, nowadays, identity theft is quite common and has become a global security issue as coders and scammers exist to steal your valuable information. This is the very reason why identity theft protection and Lifelock exist to keep our valuable information safe and secured. We better be vigilant and responsible rather than sorry for our losses. We have first conceived the idea of this blog contest last April but since my sister Tammy and I were all pretty busy with travel and business among other things, we decided to put it off until we can finalize everything. So, the long wait is officially over as we launch our first blog contest. This is a birthday contest too for me who will celebrate my birthday on June 1 while Tammy on July 18. So, join us and let us all have fun! 1. The contest shall officially run from May 20 to June 20, 2009. All entries shall be accepted within this time period. 2. An entrant must have a blog and may submit more than one entry. 3. An entry must be a UNIQUE slogan about blog or blogging and may be enhanced through any decent and unique graphics. 4. An entry must be supported by any length of text to explain the context behind this entry. 5. An entry must also contain the links of the sponsors and the blog contest hosts. 6. An official entry must be submitted by leaving a comment on the THIS blog contest post. 8. The prizes shall be designated as FIRST PRIZE, SECOND PRIZE AND THIRD PRIZE. The fourth ranked entry shall also receive consolation prizes. 9. The winning entries shall be used as blog shirt prints. Any sale made from these prints will entitle the winning entrant a 10% commission according to the Philippine Peso and US Dollar equivalents. This commission shall be paid through Paypal account of the winning entrant. 10. The verdict of the judges will remain final and irrevocable. The blog hosts shall NOT form part of the panel of judges. 11. The announcement of winners shall be on July 18, 2009. My 30th Birthday! The problem from commercial locks is that some of them may have keys that can just open other locks. Worst, one can still manipulate the locks through a thin wire or pin. So, I am pretty anxious in securing valuables. But, there are also locks that are simply too difficult to manipulate that we have to make key duplicate just to go through them. However, locksmiths may take time and sometimes, the key's quality is not at all good. Now, have you heard of Dallas Locksmith? They specialize on rekeying locks, installing door hardware, opening and repairing safes, repairing locks and all types of door hardware, access control and CCTV. They have been operating since 1972. This is only means that they are well - experienced and competent enough to survive years of business. They practically sell and do all types and brands of locks, safes, cameras, keys and rekeys, and more. We don't want that are valuables or properties will simply be stolen or vandalized because of poor locks. I have acquaintances whose valuables were stolen by crashing their security system. In most countries, thief and robbery are the common culprits among civil crimes. So, I won't mind paying for stuffs that can protect me, my family and our properties. Where is Your Honor in Cheating? I was in my usual works of EC dropping when I first read the horrible incident of paid review copying of Juliana from Juliana's Lair. As a blogger, I write for several reasons, inclusive of which is for paid reviews. I had my usual ups and downs from doing this where the most recent was getting my review rejected for grammar errors after several grammar rechecking. OMG! It really made me stir! But, to actually know that other bloggers could have copied my hard-worked review, that could indeed make me bolt and spit anger! I could only share the sentiment of Juliana to see her own work from someone else's blog and the case of Leomar, another Pinoy, on a paid review for only $2.00 was simply beyond reproach. Regardless of the paid review amount, this is now a question of principle. I just cant imagine how a blogger could actually be proud of her earnings simply from cheating and stealing. I do copy images and thoughts on personal posts to at least support my conviction but I do give due credits to the sources. But to do this on paid reviews, goodness, I must be totally brainless to just steal the works of others. So, I am taking my duty to spread awareness and responsibility by sharing this meme. 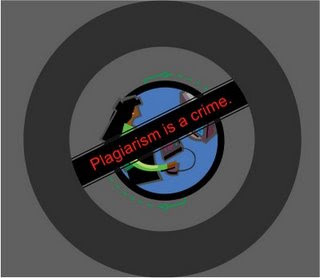 Do grab this to spread this awareness of plagiarism and vigilance on copycats and thieves. I finally got my driver's license and I am back to driving. Only that until now, I am all nervous. waaaaaaaaaaaaaaaaaaaaaaah!!!! I still have to overcome my road fear. Perhaps, with regular driving, I can finally overcome it. Yepey!!!! Now, I am a real - licensed driver! I pretty love pictures especially of my loved ones. I normally tuck them on an album. However, when digital cameras took the hype, we stop getting printed pictures. Now, we can only keep them on CD and our albums are empty. But, Carl DeFelice in New Jersey is a professional photographer for beach and wedding portraits. He offers $50.00 discount coupon, directly from his website and he does not require sitting fee. You will really make great savings from his New Jersey Beach Portraits. This photographer works with films but with digital enhancements. So, you are pretty sure that your family pictures will be of better quality at very unbelievable rates. My sister, Tammy and I previously conceived this blog contest last April. It supposed to run last May 3 just after our store exhibit but since Tammy left for Manila and I was busy at work, I asked her to delay the launching until she is back. We finally worked on the mechanics; I just have to work on those blogs links and sponsor links, then, we are all set. Thank you for all the generous sponsors who waited for us. My dad had fixed our busted faucet but the pump pressure device still does not function well. We have to turn off the device every night, otherwise, our electricity bill will plummet like a rocket. But, it is really frustrating to keep on doing this every night that sometimes, we forget to unplug the machine. We wish there is a more reliable way to address our plumbing problems. We need to have our store air conditioner cleaned too, since the temperature seems not to be that cool anymore. We indeed need a lot of house and store fixings to do. My parents ask if there are companies who seem to do all kind of service works. What popped from my screen is the Denver Plumbing professionals. They work not only on plumbing needs but also on electrical, heating and air conditioning requirements. This is quite cool! More importantly, they are on 24/7 call for whatever emergency professional service you need. In selecting a professional plumber among other workers, it is important that this person is competent enough to give you a satisfactory service and really help you solve your problems permanently, and not just provide you with a band - aid solution. Thus, feedbacks from his previous employers can save you the trouble. Costing and contracts can also protect you from any unwanted expenditures. Hire only for quality plumbing services at reasonable rates. The family of my husband is in Wisconsin, USA but we wish to migrate to Canada since it is easier to go there. The family is asking us to check on the legality of canadavisa.com so, we can start processing our application. Even my biological family is pushing us for this. If anyone out there who had been helped by this site or by any other site for Canada immigration, we will highly appreciate any tip from you. Sunny and Rainy Days for Us! The effect of global warming is really beating on us, not just here in the Philippines but also in other side of the globe. It is summer season here but we are getting extreme heat in the morning while pouring rain in the late afternoon and evening. My allergy can only worsen more. But, since June is coming, we are also expecting more rain. This only means difficult days to travel to and fro school and house. 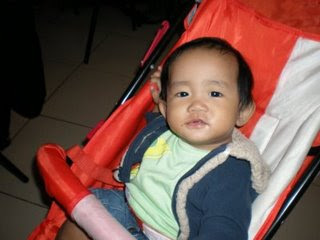 We hope to get our family van from Zamboanga to Gen Santos City. With that, we won't have to worry with getting wet. I also remember that the old house in Zamboanga has a leaky garage roof. The rain actually has spoiled the ceiling and the rest of the wood is not really good to the appraising eyes. We can only blame the ones who made the house. It is really different when you hire a competent San Jose Roofing contractor to ensure your house from natural elements of sun and rain. Any carpenter can pretty sure make the roofs but only the professional ones can do better. You can easily find them through your friends or family's referrals. You too can search them from the net or yellow pages. It is important that the roofers have previous satisfactory jobs. You can not just entrust your roof to unskilled ones. You can accept bids of three to four possible contractors. With these bids, you can compare the price, time and the materials involved. Remember though, that lowest price does not always guarantee quality service. 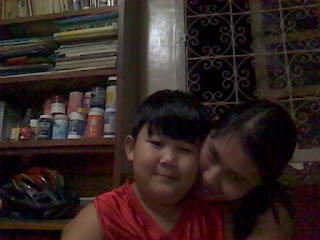 In few hours, my sister, Tammy and her son, ZG will be arriving from Manila. We hope to meet them in the airport. Gosh! They were only gone for two weeks but we miss them a lot, especially the little bugger. Hahahhahaha! I guess it is quite different when you have your loved ones around; they bring joy unexpectedly. We would only view them through Skype and YM cam. My folks are just too excited to see the little one. Hahahhaha! Believe it but these popular sites are merging. Want to see what is more to merge? It is indeed a tiring day since our stocks from somewhere had arrived. We have rearrange everything just to fit in all the new stocks. We are then contemplating if we can expand the store. The place now looks smaller from all the stocks we have. I simply feel my sore back now. I will have my house construction continued soon and I must start thinking how the furniture be and their placement. I only want a simple house buy something homey. So, I may be getting cushion, curtains, decors and some rustic furniture. I did apply for my non - professional driver's license this morning; had my picture and signature taken. Definitely, this afternoon I will get my license. Yepey! Next thing is I must overcome my fear of the road. Yikes! The bathroom faucet and pipe are definitely busted since yesterday. We can only temporarily fix by tightening the faucet with a pair of pliers but it is still leaking. We are pretty sure our electricity bills will rise up since the water system is only powered by electric current. It is indeed necessary that we can do first - aid works on our house problems, particularly, the plumbing condition. But, as a smart individual, deeper problems may require professional help. In our case, we indeed need a professional plumber to address this chronic plumbing problem. I heard that there are Boise Plumbing contractors who can duly address our plumbing problems. They can do plumbing installations, repair and maintenance. In selecting a plumber, it is wiser to look for his previous works. In that case, you can be assured that his services are satisfying and worth every payment. More importantly, you can accept referrals from friends, family or acquaintances who can suggest a better plumber to do your plumbing needs. Accepting bids can be helpful too but, take note of the details and quality of materials involved and the works included in the contract. Lowest bid does not always guarantee quality services. I do not mind paying extra if I am assured of a satisfying service. Tired, stressed, restless. These are the very words that consume me. I wish to just disappear in a snap. I wish I can find a fit-all formula to make ill things and persons disappear. waaaaaaaaaaaaaaaaah! I have known a number of single parents; my old friend for one is a proud single parent to a four year old kid. I admire their strength because they opted to keep their kids instead of leaving them to their husband or partner or aborting them while the kids were still fetus in their wombs. Whatever is the condition and reason why there are single parents, still, they need someone to talk to, befriend with, and fall in love with. It is nice to know that there is a single parent chat room where any single parent and interested individual can meet one another. The site offers easy and free registration. Best of all, your privacy is protected and you will meet a number of decent people. And, you can actually filter who you can chat with or not. Finding a partner for a single parent can be difficult and frustrating. It is my personal opinion that some Filipinos are bias about marrying single parents. No wonder, a number of them would rather prefer foreigners. Consequently, they find their potential partners online, like any chat room possible. I have a number of friends who find their loved ones online. It is just a matter of finding the right website with a touch of luck and patience. Just two days ago, our Havaianas flip flops from Brazil arrived our store. We only have 9 pairs, so, I am pretty sure, soon these will be sold out. We sell most of these online while local buyers visit our place too. Do check our newly arrived authentic Havaianas. We have glow in the dark and slim printed flops for men and women. These can be delivered right to your doorsteps. It was last December 2008 when I first applied for student driver's license. I did practice a lot on our motorbike but simply stopped after my driving seminar. I was too afraid to commit any road violation. But, I have to apply for that non - professional license tomorrow otherwise I will simply waste my fees on medical test and driving application. I intend to find a cheaper car because I feel safer on four wheels rather than on two small wheels of a bike. There are new or used cars for sale if I will really search the net. These cars should be in better condition since I don't have any background too in vehicle troubleshooting. But for now, I have to get my license already. I still have my teaching works this summer and I use my blogging habit as a medium to impart learning among students. In my management class, I ask my students to discuss their thoughts and reading through their blogs. In my programming class, I use my other techie blog as online resource. I find blogs now as a useful instructional medium. Staying in my old house has always been fun and chaotic at times. The house is now filled from after my other siblings and I are back from Manila and Zamboanga after a couple of years of absence. This means, we share everything with the family, good and dirty works among other things. But, I wont prefer it any other way. I have my old room again, new job, new business, and new masteral degree. One of the usual problems we have at home is our water pipe system. It has been with us since I was still in college and now that it is older, it gets busted more than the usual. My father just fixes this but his efforts are not truly enough to fix the pipe's problem completely. Sometimes, we have hours of no water at all, since the pipe was contained for fixing. That indeed can be frustrating when we have to pump the old well for water. I heard that Charlotte Plumbing contractor does plumbing works efficiently at very reasonable rates. In finding a plumber, it is important that the potential plumber is competent and has good referrals. You may get these from friends, acquaintances or family members. Further, asking for bids may give you several options to evaluate works involved in the contract and their corresponding costs. But, it has to be noted that lowest price does not always mean quality service. Consequently, we have to be more cautious in selecting a person for the dirty works. It is mid-May and it means having a more tiring and hectic schedule as soon as June hits the calendar. waaaaaaaaaaaaaaaah! I am used to having a more relaxed days this summer where only my teaching, blogging and business occupy the day. I also get to teach my kid to read and write more. I wish I can just stop from my masteral schooling and work, but if I will do that, I am pretty sure too that I am going to find the usual hectic schedule. tsk! tsk! tsk! It is indeed too difficult if you are restless and workaholic; you can't be stopped at all! hahahahhah! Twitter is getting popular nowadays that even celebrities all over the world and even politicians use this cool social network. Check who among your favorite celebrity tweet. My Kid Likes A New Sibling? My kid is turning seven years old this year and he really wants a new baby sibling. Goodness, just thinking about it makes me shiver.hahahhhaha! I guess I am not really ready for another kid, simply too busy to take care of everyone and everything. We will just have to contend with our baby nieces and nephews for the meantime. Another baby for me? Yikes! In my previous post, I had written that I am learning how to drive a motorcycle. I have to fully overcome my fear of driving since I have to master this before I can drive any vehicle, particularly, our family van. It is rainy season in the Philippines and since I go to school every day for work and for my masteral schooling, I really must learn how to drive and how to get my own personal car. But at this time of economic recession, having a car can be most difficult. I heard that there are Car Title Loans who come cheaper and easier to get. Surely, there can be Pink Slip Loans to somehow address my car needs or I can go for Collateral Loans so it would be more secured on the part of the lending company. There is this lending company who approves loan applications even if you have bad credit history or denied credit applications elsewhere or if you are bankrupt or if you have tax liens. You can get your money in a flash. It is quite convenient for anyone who needs a vehicle like me. Since we have a store, it will be more convenient to me to just drive my own car whenever I want it while I bring in stocks from our suppliers. It will be more convenient also if I can just travel from school to our store at any time. If I have my own car, I can teach my other siblings to drive too. With that, we can take turns in buying the store's stocks. Consequently, our travel expenses will be cheaper than to take the bus travels. We are eccentric in one point or another but what if to the point of artistry? I will surely love that. I got this email from a yahoo group and I was simply amazed by artist, James Kuhn, who after missing his work from from 12 - inch deep of snow, made his time worthwhile by making self portraits of various characters. Below is one of his one - picture - a - day creations from the 365 creations he has to complete. Click here to get more outrageous pictures from FunZug group. I recently learned how to drive a motorcycle but since I got my student license and now, for non-professional license application, I began to get scared of driving because I stopped practicing. But, since our family van will soon be driven from Zambaonga City to General Santos City, I know I have to hit the road again on my own. I love watching road races, particularly, the movies of Fast and Furious sequel. Would it be fun if I will be on a classic Volkswagen turbocharger . My friend who recently owns a 1960 model of Volkswagen would certainly love this too. I would love my car to be fast, with good digital theater sound system with flashy red color paint. Do check the site if you like the rush of a turbo-charged power car. 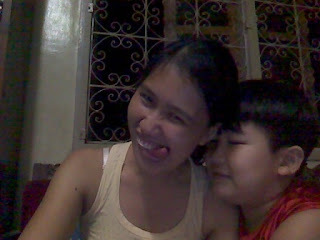 Since I spend much time with our laptop, my kid would normally join me and simply get pictures from the laptop's camera. 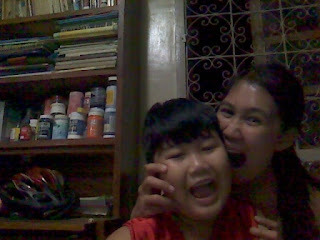 We just end up on wacky faces. Hahahhahah! We end the night with bedtime stories of my self-made up version Disney stories and Filipino folktales.hahahhaha! I see tattoos as another medium to express one's ideas and emotion. I have seen known actors and actresses like David Beckham, the famous British soccer who has nine body tattoos and Angelina Jolie who has more than five tattoos to boost. For them, their body tattoos hold special meaning and message for their loved ones among other things. I did try henna tattoo since I appreciate the glamor and creativity of body tattoos. I only want henna tattoo because I want to replace old tattoos with more creative and artistic ones. That way, I can simply switch between being cool and feminine. But, there are a number of people who would also favor tattoos, temporary or otherwise that there is a Tattoo Chat Room for them. I did sign in just to see how the chat room is and the site is simply easy to use and navigate. The site can protect your private information and you can actually be protected from nuisance or unwanted chatters. It was indeed a pretty cool chat room that I recommended this to my other friends who also like tattoos or at least, has the interest for tattoos. In finding a romantic partner, or simply a friend, it is important that you share the same inclination to click otherwise, it can simply be wild goose chase. We originally wanted to hit the swimming pool today in celebration of Mothers' Day. But since my mom was busy in our store, we decided to just hang out in Ranchero Steak House for a change. We indeed enjoy the meals although they charge higher than our family favorite, Grab a Crab. But anyhow, we enjoyed the day although we missed our other sisters, Tammy and An who are in Manila. We hope to have them soon. It is extremely hot in a tropical country like here in the Philippines. We are now experiencing 33 degree Celsius of hot weather. Normally, we just stay in an air - conditioned room or wander around inside a shopping mall just to cool down. Indeed, we wish for a cooler weather. Good thing, our family in Wisconsin, USA did have a rainy weather lately. Wisconsin is believed to have the longest winter. Consequently, my family's house has installed a heating system to neutralize the cool temperature. Our other family members will soon join them in USA, but they will stay in California where the weather is somehow warmer. They shall need then a good A/C system. I heard that there are Phoenix HVAC contractors who can help my family's need for new A/C unit and heating system. They are state licensed, insured and qualified to install new A/C units, furnace and heating systems, and repairs. In finding an A/C contractor, it is important that he conducts an onsite inspection to check for the most appropriate new equipment and/or repair. Further, he has to ensure that this equipment is safe from any hazardous particle like carbon monoxide. Phoenix HVAC contractors are easy to find from yellow pages or from referral from friends and family. It is Mothers' Day here in the Philippines and I simply enjoyed the day with a morning jogging and a basketball game with my kid. Hahhahahah! I greeted all of my friends, sister and mom. It is always a pride and joy to be a mother although struggles are there and will be there as my kids grows up. But, in spite of this uncertainty, I could never ask for more other than give a happy and love-filled life to my kid. Cheers to all moms and women who live and act as mothers to their biological kids and to others. The only time all Filipinos unite is whenever our boxing hero and pride, Manny Pacquiao rolls on the boxing arena and brings home the beacon. The entire nation in indeed in jubilant mood as our Pacman goes home in spite of the swine flu alert. In his hometown, General Santos City, a local motorcade will be orchestrated together with Sarangani Province where he intends to run as a congressman. Truly, Pacman is a symbol of unity, pride and honor for us Filipinos. still needs some concrete to start with. I have to search for qualified labor men to do my floor and polishing of my walls and roofing. I know over time that the concrete structure will eventually deteriorate. However, I also know that if with proper and appropriate mixing, concrete structures will endure over time. I just have to search for qualified concrete personnel to do my house. The Tulsa Concrete is quite known for its quality and endurance. The Tulsa Concrete Contractor will give you the quality service that you need since they are state licensed. You can check in the yellow pages or the internet, should you need concrete works for your house, garage or sidewalks. It is more practical to ask for bids to weigh the prices and the quality of services. Referrals of your friends or family will also help you decide. It is helpful too if you check feedbacks of prior clients of your potential concrete contractor. It is important too that you ask for a contract to at least see the costing and the materials needed and the kind of services they will render. With this contract, your investment will be protected. I don't mind paying more for anything that is quality and satisfying. I have to get this house construction really be going. Happy Mother's Day to All the Moms and Their Moms! Where would we be without the love, care and warmth of mothers? I guess in deep sh*ts! hahahahhah! May love and happiness be always with us!Cheers to all the mothers! In my old home, I had a dish TV in my bedroom and in the living room. However, when our cable subscription expired and got renewed, the decoder simply would not work. Consequently, we had to abandon the decoder and the dish and our expensive investment. I am now with my parents, and we have to share the TV in the living room. We somehow battle over channels that I opted to watch my movies when everyone is already sleeping. But, I particularly prefer a Direct TV and a satellite TV since they offer digital programming and quality picture reception at very reasonable rates. I am building my new house; perhaps, a new TV should go along with it. If you asked me what is my most precious treasure, it would be my kid. I may not be the best mom but I am pretty sure that I only wish to give him the best. Watching him play with other kids among other things simply give me the purest joy. The school where I am connected with has been established since 1960's but still it employs the traditional dial-up phone system. The bad thing is they only situate their phone in the Registrar's Office. Consequently, those who are in remote offices will have to go to the Registrar's Office to place their call. I heard that VOIP Phone Systems would allow callers to see who is on the other line with messaging capabilities and other advance call features. It will be a delight if this kind of phone system is actually established in our school. More importantly, it is possible to have voice messaging and forwarding, SMS and web connection. It is quite call indeed. I really hope the school will start considering VoIP phone systems. We just got back from my morning jog and inline blade practice. I have to get this habit again otherwise I will be back to being lazy and getting bigger. Hahahhahah! My kid simply enjoyed the inline blade and the soccer play with the other kids. We wish to come back tomorrow for another sweaty morning. I found a beautiful summer dress and a good pair of sandals from AMI Club Wear and I had asked my family in Wisconsin, USA to get me these as my birthday gifts. I told them to check more the site since AMI has a wide collection of shoes, bags, costumes, cosmetics and accessories that we can purchase for our fashion store. Surely, my clients will love the hottest trends from AMI Club Wear. The site is pretty cool and interesting since it offers lower prices, friendly customer service, exchange and security policies, fast shipping and quality products. It also has promotions like free shipping within USA for purchases over $50. My mom and siblings simply visit different stores in Chicago and Wisconsin just to get best buys for our boutique here in the Philippines. Surely, they will appreciate the stuffs of AMI since some fashion trends of celebrities like Kate Hudson and Cameron Diaz are on the shelves of AMI. The site offers only the hottest and newest trends since the site’s employees visit fashion designers for their latest works. Consequently, only the best is sold in AMI Club Wear. I cannot wait for my family to send us their online purchases. I have been procastinating my jog and in-line roller blade practice for several weeks. But, my kid has been reprimanding me to have that morning routine again. I did promise him that we would have the practice on weekend and so, even if I am all sleepy, I am awake now, updating my blog, and in awhile, I will be hitting the running track again on my running shoes and in-line blades. I will sure be having some unwanted falls and bruises again. tsk! tsk! tsk! I really hate sports. hahhahahahah! My sisters and I originally started the new house late last year. But, when we started our business and my masteral schooling, our resources were simply drained. Now, I am thinking of redoing again the house construction. We have our walling already and some major posts but we definitely need a roof immediately. The house is simply exposed to weather shifts of rain and extreme heat. I know eventually the built structure will deteriorate unless the construction can be continued again. I heard that there is a qualified and competent Kansas City Roofer to address any roofing need. You can find one through referrals of your family and friends. Further, you can check them from yellow pages. In selecting a roofer, it is important that the man who will do this is basically qualified and competent. You can actually interview your potential roofers of their experiences and length of service. Their former roofing works can indeed help you decide. I wont mind paying higher for a quality service. Consequently, when you choose for a roofer, consider all the prices, labor and material quality. Going through bids can help you weigh roofing costs with quality service. I know I have to start considering the roofing construction soon if I want to consider prolonging the life of my new house. It's Quite Hot Here in the Philippines! What a terrible summer weather here in the Philippines. We are experiencing around 32 C from Pagasa's weather forecast. While Visayas and Mindanao are having extremely hot weather, Luzon on the other hand, particularly Tuguegarao, are experiencing Tropical Storm Emong. My grandparents and other kin in Pangasinan have simply lost their houses from the havoc of Emong. My father is quite worried though. Mindanaoans are simply lucky to have a more stable weather. I might as well be glad with this hot weather. Tsk! tsk! tsk! I love reading and whenever I have an idle time, I devour my hours with all sorts of articles. I love to read interesting blog posts too. But, I was totally disillusioned when I read a long article on words of freedom and sovereignty. I thought the long article was about distinguishing the two words and how are these concepts applied in reality. But, I was dragged to a more confusing illustration, worsened by incorrect grammar. I am no master of the English language but I do expect that articles submitted for articles archives could at least be edited to at least contain the grammatical errors and and convey the basic message. I think the writer was restrained by his nationality. But to have a website where any writer can submit interesting articles to categories of personal interest can be pretty interesting. I would personally write about education and politics in the Philippines and how are these different from the other side of the world. That can actually fuel my brain and fingers to scribble the words and get my message relayed. So, with due respect to the author, I wish he was more considerate of his readers, to make the reading time spent on his article more worthwhile. I may be pretty wrong with my judgment but this is just an honest opinion. I could however read other more interesting articles from the www.web-articles.info that are suitable to my shallow inclination. It is summer time in the Philippines and we do have summer classes but I missed the chance of taking my summer masteral classes. I simply needed a rest. However, I am all consumed by my 3 summer subjects and regular blogging.hahahhahahha! I also taught my students to blog, so, they can write their laboratory assignments and discussion online. I am pretty sure that once June will rake in, I will be dead with so many things to do. tsk! tsk! tsk! Are you a punk or simply go for punk partners? Then perhaps you can try punk personals for any possibility of a date. It is quite important that when we choose someone for a date, he or she must share our similar interest to at least make the date interesting and spontaneous. I don't honestly believe on the adage, "opposite attracts", since this can disastrous if not frustrating. Well, at least, my friends can have something to check. I think I drive anyone around me crazy especially my family if I require them to do multitasks. I simply don't want to waste my time that I do as much as I can with anything necessary. Hahhahaahha! No wonder my friends dubbed me as superwoman. Among the many roles and tasks I work on are from my teaching, schooling, business, blogging and mothering.hahahhahhaha! Am I to be blamed if my family reprimand me to slow down? I am an avid fan of lovely gardens and beautiful landscapes but I was never really into dirty works with the plants and the soil. My mother in-law however has rare collection of plants that even if she is in Wisconsin, she never failed to remind us of her garden. And since, I felt responsible of her garden, I started mending them and taking care of them. But, I really wish I have the skills and resources for landscaping. I am building my new house in the family compound now and I wish I can enhance its appearance by putting good choice of plants and other landscaping materials. I personally see gardens full of trees and shrubs and flowers as therapeutic. They seem to give a very peaceful and soothing feeling. But landscapes are quite expensive but I wont mind paying higher price for a worthy landscape. I heard that Chicago Landscaper does wonder on gardens. In choosing a landscaper, we have to at least ask for bids and get the worth from our money. We also have to consider the unit price of the plants and the landscape materials that we need. Having a contract can also protect our investment especially if the plants wont thrive at all. Maintenance must also be specified in this contract. It is then wiser to look for competent and qualified landscaper that can bring delight from our garden. It is school day and again I feel so lethargic that I just want to be at the store. I guess I really need a break from teaching. I seem not to have the patience anymore. . . I am now into sending my applications to other non-academic institutions. I only wish I will be employed soon before the semester will start this June, so, I wont disrupt the school's faculty line for subject loading. Wish me well then. 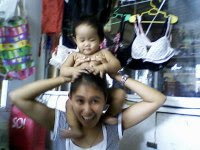 My sister Tammy and her kid went to Manila for a 2-week vacation. My oldies really miss this little boy since they take turns in taking care of him especially at night time. I cant imagine if Tammy would really decide to stay in Manila for good. The house would really be quite from his laughs and wails. hahahhaah! But on their first day of vacation in Manila, he simply acquired fever because of the weather shifts. He gets cranky too. They are joined by my other sibling and her partner but that doesn't help much. So, they will soon go home much earlier than expected. And, we are only happier to have the little boy back again. Hehehhehe!